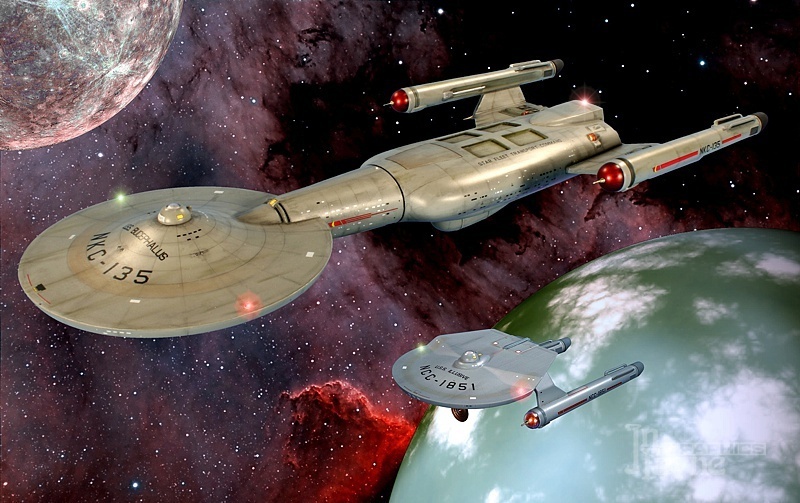 Escorted by USS Illusive, the freighter/transport USS Bucephalus cruises into orbit of a colony world in need of supplies. 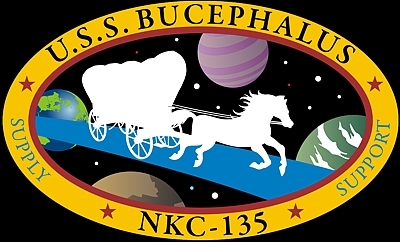 Bucephalus was a massive vessel equipped with cargo holds, passenger quarters, fluid tanks - capable of carrying everything a distant colony or starbase may need. 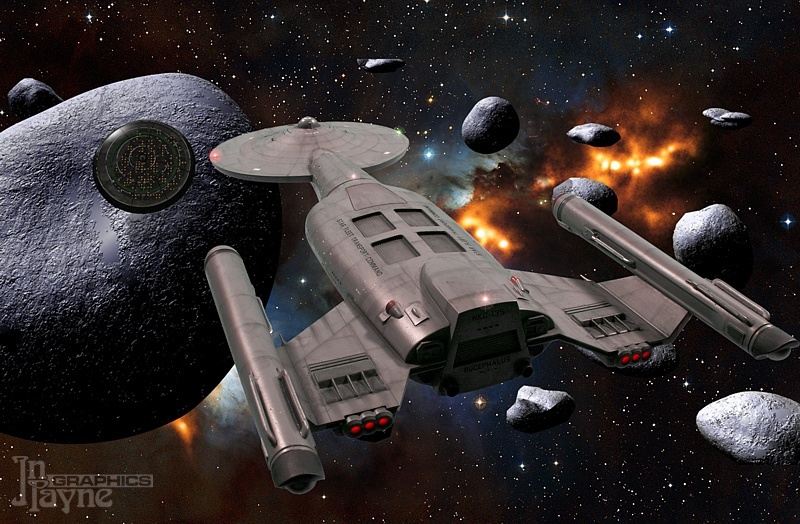 Bucephalus matches orbit with an ice asteroid in a distant system, where Star Fleet has built a research facility. The ship was in service for decades, but its low priority, compared to front-line vessels, caused it to be passed over for upgrades many times. Bucephalus arrives at Starbase 51 and awaits permission to dock. 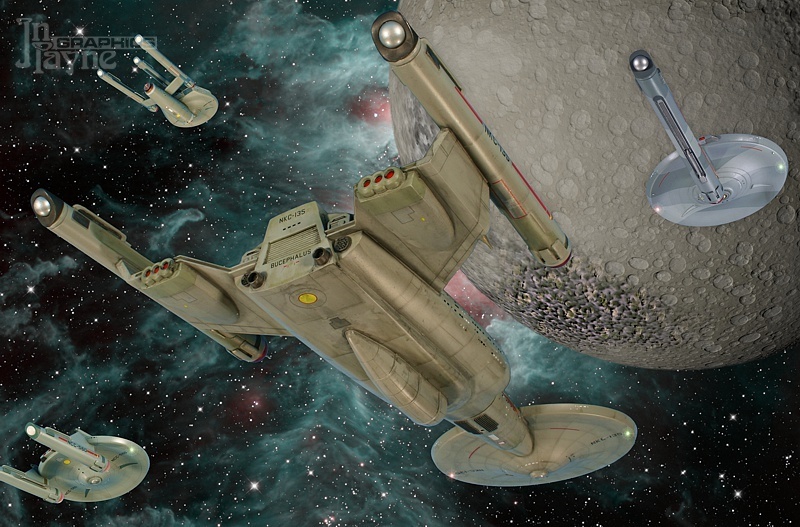 While her cargo transporters could transfer almost any load of any size, it was still easiest for personnell to disembark for shore leave via the main gangway in the saucer rim. Bucephalus arrives at a distant terraforming colony with supplies, joined by a fleet task force on their way to war game excercises. 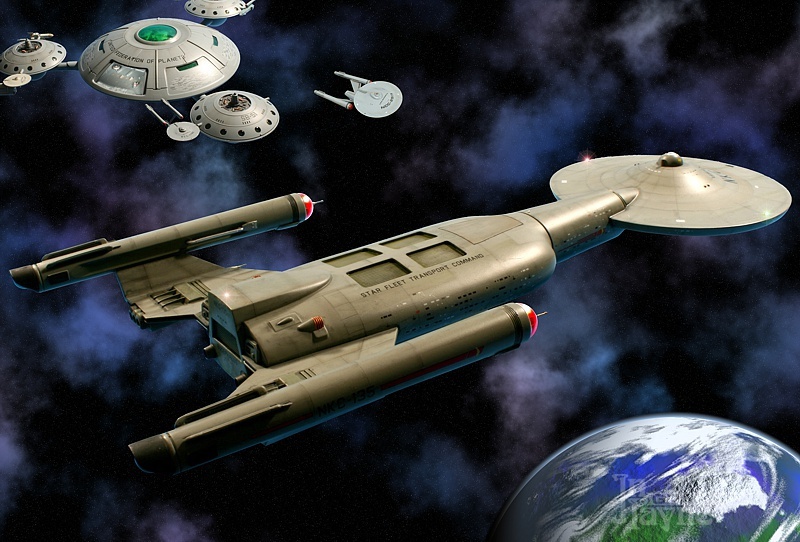 The Bucephalus (named for Alexander the Great's famous horse) could only make warp 5 with a full load due to its size and mass, forcing any escorting vessels to match her speed. Of course this is only a problem in dire emergencies, which Bucephalus is rarely invited to take part in. to some detail photos of the Bucephalus model.